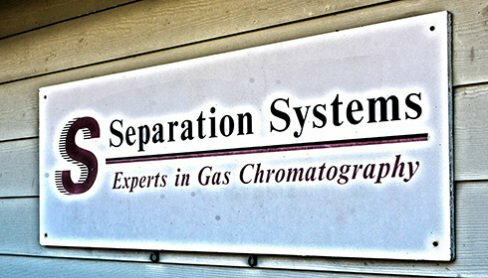 Separation Systems is a highly experienced provider of gas chromatography (GC) based analyzers, special application software, standards & consumables and associated support services. Our application focus is in the following areas: petroleum refining, petrochemical, biofuels, chemical, industrial gases and natural gas. The systems we offer are comprehensive in nature and are based on the Agilent 7890B GC and incorporate our own patented or trademarked hardware and software technologies as required. While the majority of our products are specifically designed to meet the test method requirements from prestigious standard organizations such as ASTM, UOP, GPA, EN, ISO, we also design. test and validate systems to meet special needs of our clients including custom software. We are a private minority owned company located in Gulf Breeze, Florida. To provide ‘comprehensive’ gas chromatography (GC) and gas chromatography mass spectrometry (GC-MS) based analyzers, best in class application software, consumables and calibration standards to clients who want to produce high quality data as quickly as possible not only because they want to achieve a fast return on investment but support their company’s ability to meet or exceed growth and profitability goals. Separation Systems, Inc., was established in 1984 in Gulf Breeze, FL by Joaquin Lubkowitz . The minority owned company provides gas chromatography (GC) and GC mass spectrometry (GC-MS) based systems to laboratories in the oil exploration, petroleum refining, petrochemicals, gas processing, biofuels and power industries. Prior to 2005 our analytical expertise and business was predominantly focused on pre-configured/tested systems for severalcritical GC applications including simulated distillation, detailed hydrocarbon analysis (DHA, PIONA), refinery gas analysis (RGA), natural gas analysis (NGA), sulfur analysis, impurities in ethylene and propylene streams and biofuels. Since then we’ve expanded our business to include (1) GC-MS based analyzers for extended analysis information and (2) calibration standards, component blends, reference materials and consumable items. Separation Systems, Inc. is an Agilent Technologies Channel Partner and authorized to sell and support systems incorporating its GC or GC-MS products in the United States, Canada and Latin America and elsewhere in the world through business partners.